This is always the hardest article I write all year. The Bests are just difficult because I tend to be long winded, and I say way more than I need to. The Worsts are difficult because it's getting harder (thank goodness) to come up with sensible picks. That difficulty has never been greater than it is for 2016. There are some truly amazing releases that I'm going to espouse on about way too long. There are even fewer figures and collectibles that deserve a 'worst' moniker. In fact, there will be a record number of categories in which I simply can't come up with anything worthy of a worst, and there won't be a single category where I don't have to argue with myself for long periods who the very best is - the overall quality in the market has gone up that much. This is a great thing for collectors, and companies that slack off or release crap just don't survive in the market right now. The bar is high and going higher, and everyone is doing their best to reach it. Last weekend, Eamon and I did a special HotToyCast on our Poppies votes. I've spent several more days making my consideration (I always wait to the very end to vote) and I make no promises that the ones I picked last week are still the ones I picked this week. I can be fickle that way, and as I said, the quality across the board has gotten so high that picking just one winner can be next to impossible. Let's also keep in mind that nothing here is fact. It's all my opinion. Don't get upset, don't get mad, don't get your knickers in a twist over any of this. Your opinion on this stuff is just as valid as mine, which is what makes it all so much fun. As I said, lots of arguing with myself. As always, I'm going with a bronze, silver, gold methodology, and my bronze pick is...Hot Toys. They've won this category many, many times with both the People's Picks and the Poppies, and I suspect they will have a great shot again this year. They continue to amaze with their work, and the are the company that sets the bar in the sixth scale market that everyone else has to reach. I'm giving silver to a DC Collectibles. They do plenty of great lines, from statues to busts to action figures and more, and they tended toward hitting highs in every category this year. On top of all that, they managed to resurrect a favorite license of mine, and not just do it but do it beautifully - the Batman Animated series. These are folks that love what they do, and it shows. My gold medalist is always a favorite, but 2016 was a smashing good year for them. Mezco Toyz has a real winner in their One:12 Collective line, and with great releases in Judge Dredd, Batman v Superman, Universal Monsters, Marvel, and Star Trek all in 2016, they've produced on the promises they made in 2015. As I type this, I've just pre-ordered the BvS Harley, and 2017 is looking outstanding for the series. Mezco continues to push boundaries across their other lines, and are currently one of the more innovative companies out there. For all that and more, they get my gold for 2016. In past years, this has been a really easy category. We've seen poor quality, poor customer service...we've seen outright crazy. There are things I could complain about. For example, it deeply annoyed me when McFarlane switched the Walking Dead scale to their new 7" Color Tops line. In fact, it meant I stopped collecting them. But...it makes business sense, and I completely understand why they did it. Trying to consolidate all their licenses under one scale, one style, and one brand is a reasonable approach. It's just unfortunate that it affected the Walking Dead line the way it did. I could complain about some things Hasbro and Mattel have done...Hell, I can find some things about Hot Toys that really annoy me. But there wasn't the sort of truly ridiculous, moronic, or evil behavior from any company in 2016 that would drive me to give them a 'worst'. What's high end? What's low end? It's like art - you know it when you see it. But generally, the Poppies judges consider high end stuff that's in that $75 or so range and up. My third place winner is the series of statues from Tweeterhead based on the 1966 Batman show designs. This year they released the Riddler, Batgirl, and Robin, and Egghead will be here any day now. With a Joker already on pre-order, the line seems strong, and I'm hoping we'll see at least a Penguin before they are done. The quality is outstanding, and I suspect that this will be my number one all time Batman 66 series of collectibles when they are complete. The silver winner is from Hot Toys - Star Wars. It's hard to argue with any Hot Toys line in this category, but their work with Star Wars in 2016 was stellar. We got the first decent sixth scale Chewbacca, a figure some said would never work, and they managed to produce releases for the original films, Force Awakens, and Rogue One. I feel sorry for any completists, especially as we head into 2017 with a million more releases, but it's a great time to be a Star Wars fan. But you know my winner, since I already raved about it when discussing Mezco in the previous category. I'm picking the One:12 Collective for this gold, in large part to its creativity and ground breaking style, but also thanks to its terrific overall quality. If you haven't checked this series out in person yet, do yourself a favor (but not your wallet) and spend a little time playing around with one. They really do amaze, and the breadth of licenses means they'll get around to one of your favorites eventually. I don't want to seem like a wimp here, but this is another case - right out of the gate - where I really had no major issues this year. I know some people have more complaints about lines from companies like Star Ace, Asmus, or Sideshow than I do. They'll get some call outs in the categories below for specific releases that I did take issue with - but they didn't produce a bad overall line all year. Over the last 10 years an expectation in the industry has been created, and if you produce high end statues, figures, or other collectibles, you have to meet that expectation. Like any culture shift, it's taken a few years to get everyone on board, but the industry is there now. While a company may slip on a specific figure, they aren't producing overall poor quality products and trying to charge high end prices any more. Let's hope we can maintain this level, and avoid slipping backward. Here's another category where a war went on in my brain. There were also some surprise contenders here, at least surprises to me. The bronze medal was one by one of those very surprises. I've made no secret of my distaste for the ReAction line from Funko. Hey, I just don't get it, and I've said in the past how I felt it was a missed opportunity. And then, lo and behold, I came across the entire Dark Crystal series at Toys R Us. I was impressed! These weren't the same exact style, these weren't shoe horned in to fit the generic design, but were their own unique line, with their own unique look - and I really, really liked it! If you're a big Dark Crystal fan but haven't checked them out yet, do yourself a favor and do. I don't expect them to last long at retail. Everyone knows I'm a bigger DC fan than a Marvel fan. And there were two great DC lines this year. I almost included the Icons series on this list, and as the successor to the old DCUC line up, it's certainly qualified. Their Batgirl and cycle were fantastic, as was the Joker and Harley from earlier in the year. But it wasn't good enough to get the silver - that had to go to the Batman Animated series, also from DC Collectibles. Along with a plethora of solid action figures, done beautifully in the animated style, they gave us the huge Batwing! This is a series that begs you...no requires you...to be a completist. I just went and told you that I'm more of a DC fan than a Marvel fan, and then I'm going to turn right around and pick the Marvel Legends line as my gold winner. What gives? The fact that I'd do this speaks volumes about the improvements in quality that we've seen in the series in 2016. Better plastic, better paint, better joints, all while producing a metric ton of characters and BAF's over the course of the year. 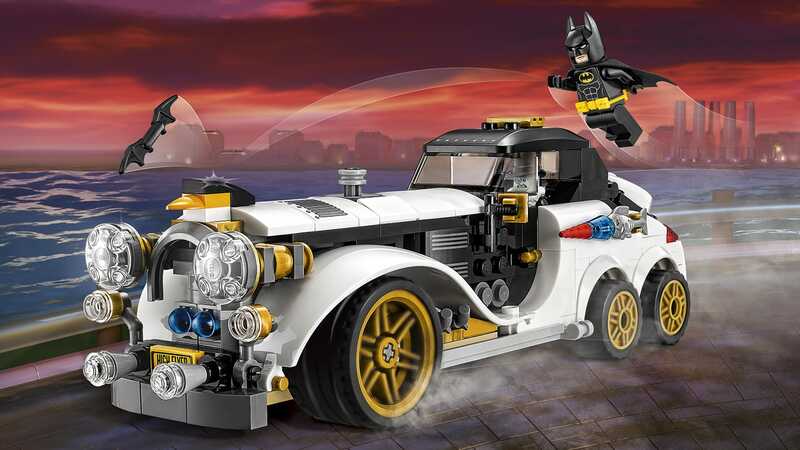 Combining comic themed characters with movie themed characters is a great way to introduce a younger audience to the classic designs, and they've managed to bring down the price point a little as well. Bravo, Hasbro! Sadly, there's still plenty of potential picks in this category. Don't be surprised when you see specific figures from these series show up in other categories, since bad lines produce bad figures. I pick on this series every year, and I'm going to pick on them again. I could give them the gold too, but I'll only go as far as bronze this year to avoid beating the dead horse any worse. I hate the Titan Heroes from Hasbro. Hate them. Get yourself some rocks and sticks, paint smiley faces on them, and you'll have the same damn toys. Your kids deserve better than this. Mattel gets the silver medal with their halfhearted attempt to do figures for the new Ghostbusters movie. I really enjoyed the film, and wish the quality of the figures had been better. The likenesses were bad, the paint was bad...there's no real excuse. The gold goes to Mattel's Batman v Superman series, and I'm talking not the Multiverse versions. This is the regular line up for the movie, and yes, they were pretty God awful across the board. Wonder Woman and Aquaman were particularly bad, but there was really nothing positive to say about the line overall. I only do bests in this category, no worsts. It wouldn't make any sense, considering the point of the category. People tend to assume complicated paint equals great paint, and simple paint - hey, simple is easy. That's not true however, and simple can be extremely hard to do right. You have less chance to hide mistakes, less chance to overwhelm the viewer with tons of detail. What is there has to be spot on and perfect, or it is obvious in its failure. My bronze is going to just such a collectible - the First Turtle from Mondo. This guy reminds me a lot of the Batman Black and White statue based on the artwork of Mignolo - another really simple paint job that was amazing. Getting that hand drawn comic look just right is tough, but they pulled it off perfectly. Silver is going to one of those Tweeterhead Batman 66 statues I mentioned earlier - Batgirl. They managed to match the very unique look of the material of her costume using the paint, and did it with tremendous quality. I love the design of the statue, but it's the paint that takes it to the next level. My Gold winner will be a shock - it's Grishn'akh from the Asmus Lord of the Rings series. The ugly, liver spotted, scarred skin looks amazing, and the contrast between the skin color and the bright blue eyes is visually arresting. The wet look to the teeth and gums, not to mention the poor dental hygiene, gives him a tremendously realistic appearance, and it's Asmus' best paint work to date. Let's face it - NECA owns this category right now. Hot Toys did release their MK45, and yes, it was outstanding...but I'm pretty much Iron Man'ed out. The bronze goes to Mezco (see? NECA isn't the only player) for their Tygra. I hope they continue to produce in this scale during 2017, because it's an area they've done well for more than a decade. They've announced a couple more Thundercats variants, but let's hope we see some other figures at Toy Fair later this month. NECA does get the silver though, this time with their TMNT Donatello. If you haven't had a chance to play around with one yet, make a point to do so. This figure rivals their own smaller comic based figures from back in the day, and is giving Mondo a run for the money - literally, since TMNT fans only have so much money to spend - with their 12" line. NECA also gets my gold, and it simply was no contest. 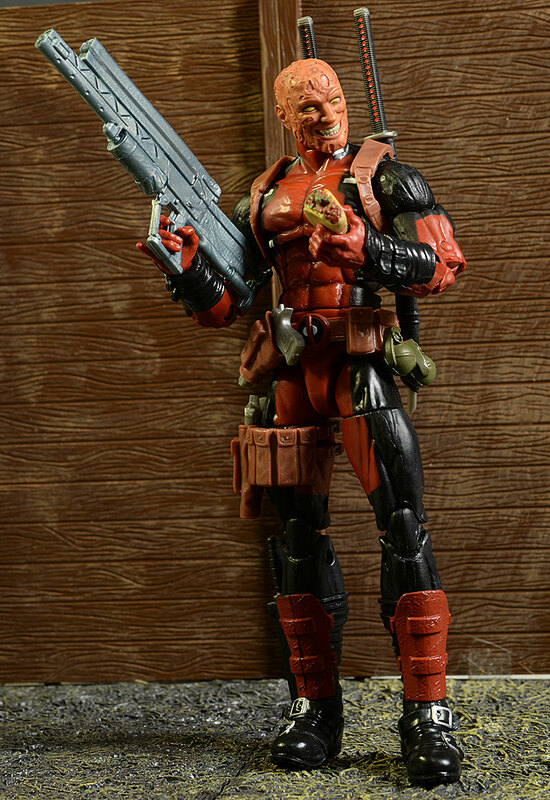 I love - love - their Deadpool, and while it's not movie based, it's still an amazing piece of work. From the sculpt to the paint to the articulation to the accessories, this is an all around fantastic action figure at any scale. I almost didn't pick a figure for this category...almost. The quality in this scale has been solid, but there was one that just bugged me too much to not mention. I'm giving my only worst here to the NECA Batman V Superman Batman. There were a lot of terrific versions of this figure in this costume, but this wasn't one of them. I really don't like the weird expression, and the paint work on the suit isn't working for me either. In a year of winners for them, he stood out like a sore thumb. Best Male Figure 12 - 17"
Once upon a time, Hot Toys owned the room in this category, with Enterbay, Sideshow, or Medicom occasionally peeking in through a window. That's no longer the case, with a lot of really strong contenders coming in from smaller companies. My bronze medalist is just one such example. I'm picking the uber cool T-45 armored figure from Fallout, produced by ThreeZero. A figure inside an exoskeleton covered by cool, removable armor? Yes, it's all that and more. If you're a fan of the game, you'll be impressed. Hell, even if you're not a fan of the game, you can't help but be impressed by the quality and engineering that went into this one. Hot Toys does get my second place silver. And it was a tough call, too. 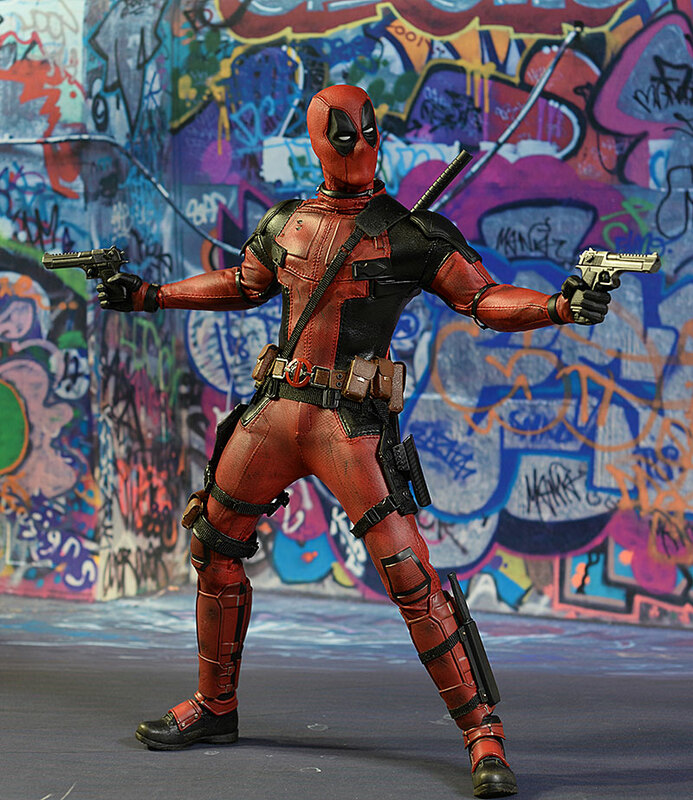 I loved their BvS Batman, I loved their Stan Lee, but my one true love was Deadpool. The movie was great, and their intricate, screen accurate release was almost perfect. Had we gotten a scarred Reynolds head (and they avoided the wrist issue from the start), perfection would have been achieved. I'm going with a personal favorite for gold - this is my personal list, after all. I'm going to be in the minority I bet, but I'm picking the Quantum Mechanix Captain Kirk. 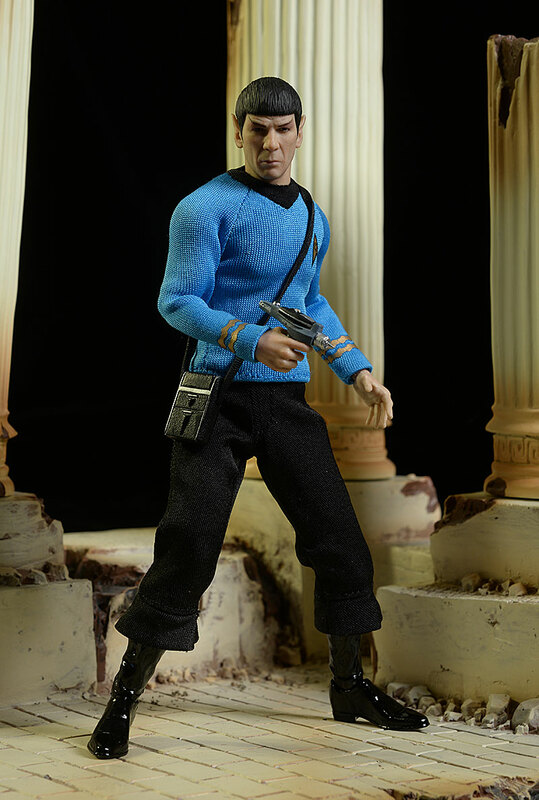 Do you know how long I've waited for a great Kirk in any scale, let alone the ultimate of sixth scale? They did it, and for that I will be forever grateful. This is a line that looks to have legs too, with the release of McCoy imminent. Scotty, Sulu, Chekov and Uhura - four more and I can die happy. Worst Male Figure 12 - 17"
This was surprisingly easier to pick than I had expected. Considering the overall quality we're seeing these days, it's hard to call anything 'worst'. None of these are at the level of awful we've seen in past years, but they were all more of a disappointment to me than the industry average. My third place spot is going to Mattel for one of the most bizarre releases I've seen in awhile. They did a 'Heat Vision' Superman as part of the larger Batman v Superman line. Doesn't sound too problematic...except Superman has wings that snap out on his back. Uh, wings? After flying independently for 80 years, through countless movies, comic books, and tv shows, now he needs wings? I'd say they missed the entire point of the character. My silver goes to Sideshow for their Star Wars Jawas. 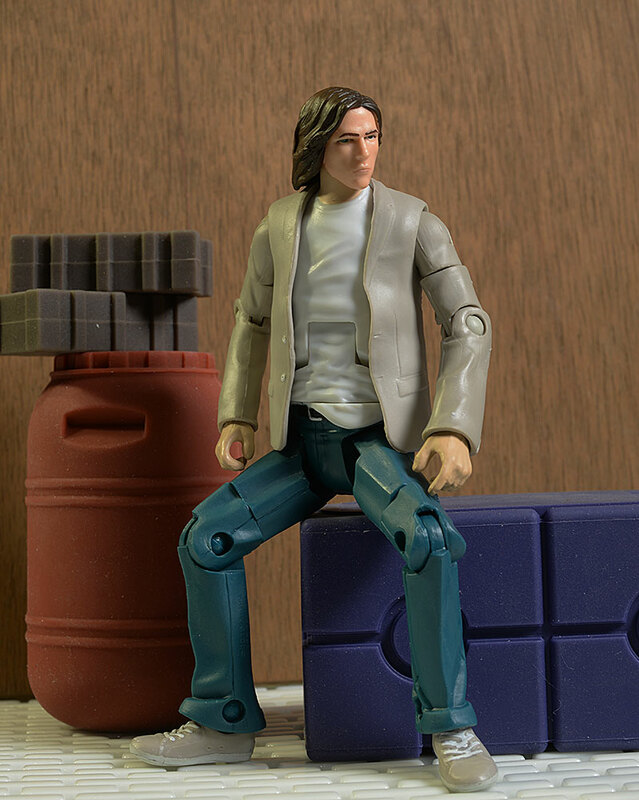 It's nice that we're getting a wide variety of characters from Sideshow and Hot Toys, covering much of the Star Wars Universe, but this release seemed a bit too close to the old Hasbro versions in quality, and the floppy, weak bodies ruined it for me. The gold ends up in the lap of the industry leader, Hot Toys. They've set the bar very, very high, but they also have to continually reach that bar with every release. For me, the Guardians of the Galaxy Thanos was a big disappointment. Keep in mind that this figure cost over $400, no small potatoes. 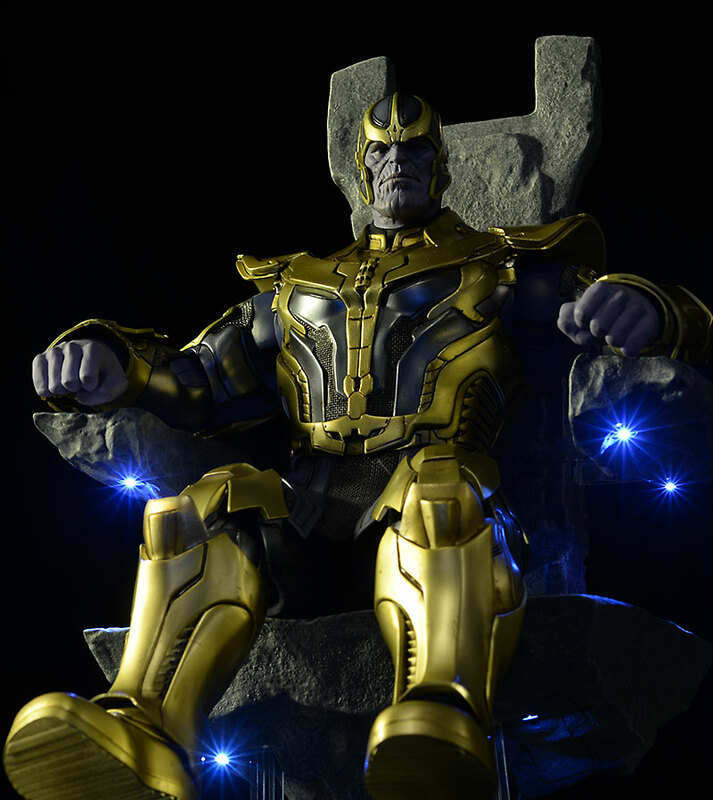 He's a big guy with a cool chair, but I have to assume a big chunk of the cost went to a light up feature that was poorly designed and executed. It didn't help that mine busted a hip right out of the package, a situation that never improves my mood. Best Male Figure 5 - 11"
There were a ton of great nominees in this category again this year. For my bronze, I'm going with a figure I mentioned in passing earlier - the DC Icons Joker. This is a character that sees plenty of attention from plenty of companies in plenty of scales every year, but the Icons release stands out for it's design and quality. Combine him with Harley, and you have a winning duo. The silver medal goes to Judge Dredd from 3A. While I love my Mezco releases in this scale, I have to admit that the 3A version really blew me away. It still had an issue or two, but captured my favorite version of the character beautifully overall. My winner was an easy choice. 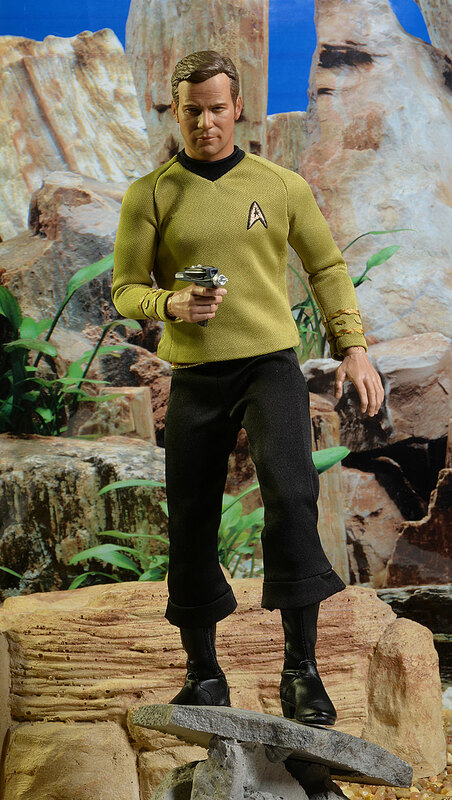 While QMX nailed the sixth scale Kirk, it was Mezco with their One:12 line that nailed the TOS Spock. Out of all the releases in this terrific series in 2016, Spock is my personal favorite, and I feel the sculpt, paint, outfit, and accessories all came together to contribute to his overall success. Worst Male Figure 5 - 11"
As many great figures there were released in this scale in 2016, there were some serious stinkers too. 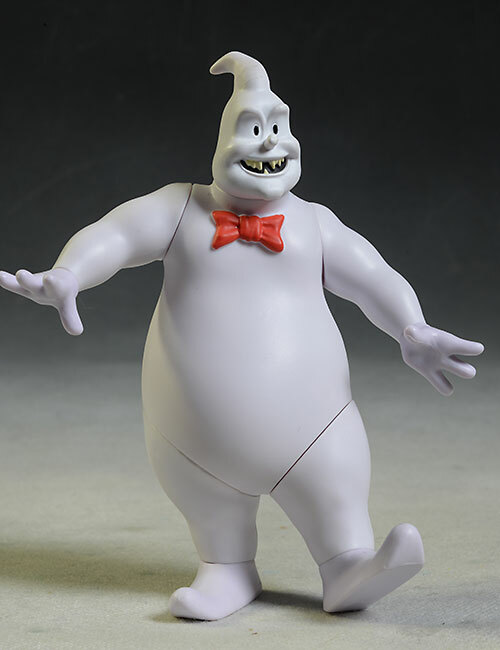 Diamond Select gets my bronze for the Louis Tully figure in their Ghostbusters series. A lot of people are harder on the overall series than I think they should be, but when it comes to Louis, something went terribly wrong. My silver spot goes to the McFarlane Toys Walking Dead Color Tops Rick Grimes. I have no issue with the Color Tops concept in general. It's clear McFarlane was trying to re-brand all their licenses figures under one label and in one scale, creating less confusion and greater consistency. I have no issue with that. However, this particular figure, also known as 'goiter Rick' thanks to the weird neck articulation, was awful thanks to a terrible sculpt and paint job. He and Michonne were the first two released in this new style, and she was the best so far...and he's the worst. 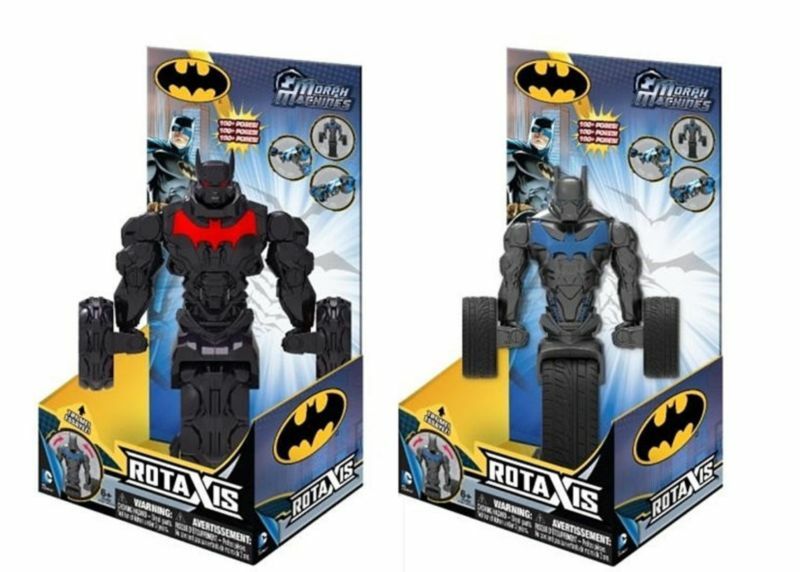 My top spot goes to Mattel...but not for anything from the standard Batman v Superman line. Rather, he comes from the generally bland but acceptable Multiverse series - Lex Luthor. While his articulation is decent enough, there isn't another positive thing you can say about him. Overall, he's a lump of plastic that resembles a person if you squint just right. Best Male Figure under 5"
This is not a scale I collect much any more. I might pick up the occasional figure here and there, but much of the appeal has worn away for me. Still, I can recognize greatness when I see it. My bronze medal goes to the nifty little Yondu figure from the Marvel Legends Infinite line up. I always check out the Marvel figures on the pegs, even if I'm not going to be buying, and the colorful comic based Yondu is definitely an eye catcher. This is one of the categories where the war in my brain has caused my picks to switch around a bit over the last few days. 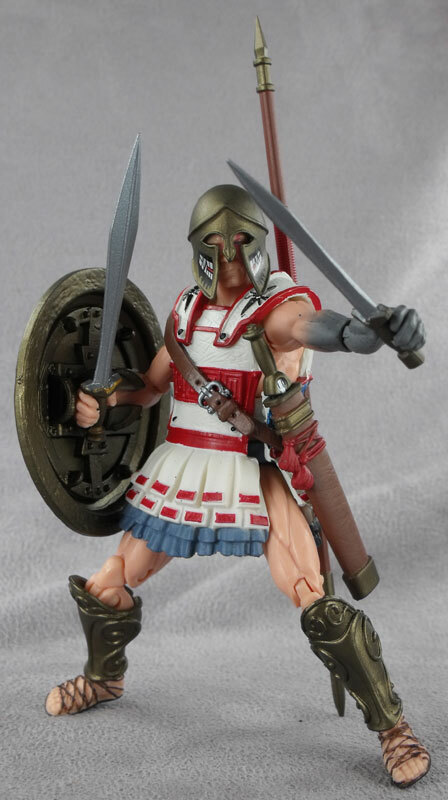 Originally I was going to give the gold to the King Leonidas from the Vitruvian HACKS line by Boss Fight Studios. He slipped into the silver spot though, after much internal debate. That doesn't mean he isn't a fantastic figure though, and the entire series is a really creative, innovative idea. But he lost out to a figure I did get this year, and actually reviewed, but it seems like no one else even noticed. 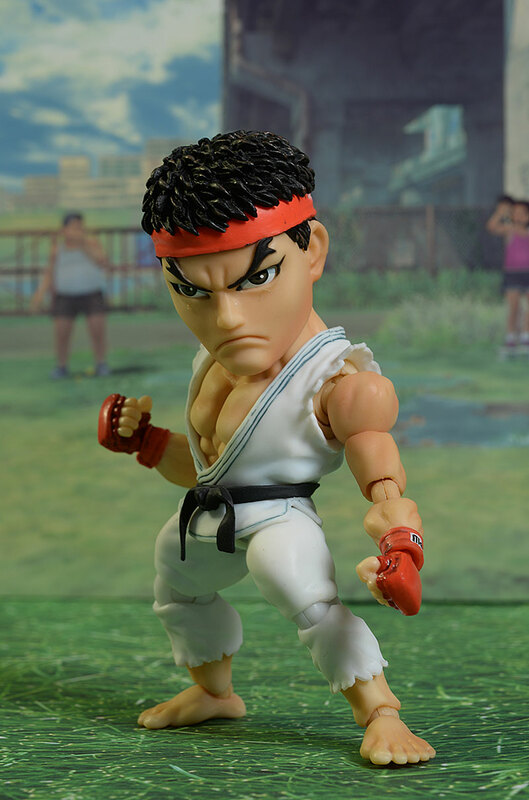 Kids Logic did some Street Fighter figures that are super cute and SUPER articulated. I'm going with their Ryu as my top choice. This was a really fun design with a ton of play potential, and plenty of ways to pose. Worst Male Figure under 5"
As I said, I don't buy much in this scale these days, which means my selection pool was quite limited. Most of what I saw outside of my own purchases looked great, making it impossible to come up with three entries here. I do have one though. 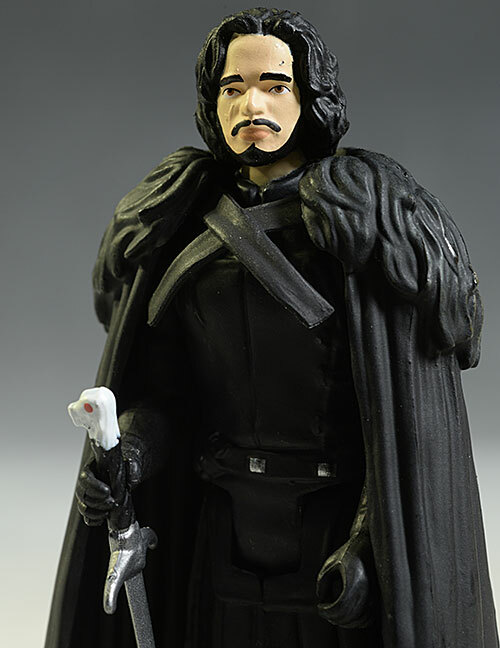 I'm giving the award to the Funko Game of Thrones Jon Snow. They went back to the drawing board on their GoT license, and we got this Jon Snow. *sigh* The overall series wasn't great, but the majority of the figures were far better than poor Groucho, er, Jon. I got some people wondering why the Hot Toys Black Widow (Civil War version) didn't make it on the ballot. It was one of those judgement calls - she didn't start shipping until December, and the judges didn't feel she'd gotten enough exposure yet. Fear not, she'll be on the 2017 ballot, and no doubt do well. Hot Toys didn't run away with this one for me this year, but they come close. Star Ace's Casual Dress Hermione takes the bronze medal, with one of the best female portraits ever produced. Of course, this is the same portrait released in 2015 with the first Hermione, and all that changed with this release was the costume. Because of that, I couldn't go more than bronze, but I still dearly love the figure. Hot Toys jumps on the silver with the first Force Awakens Rey figure, packed with BB-8. The two pack was terrific overall, and this version of Rey has the most display potential as well. 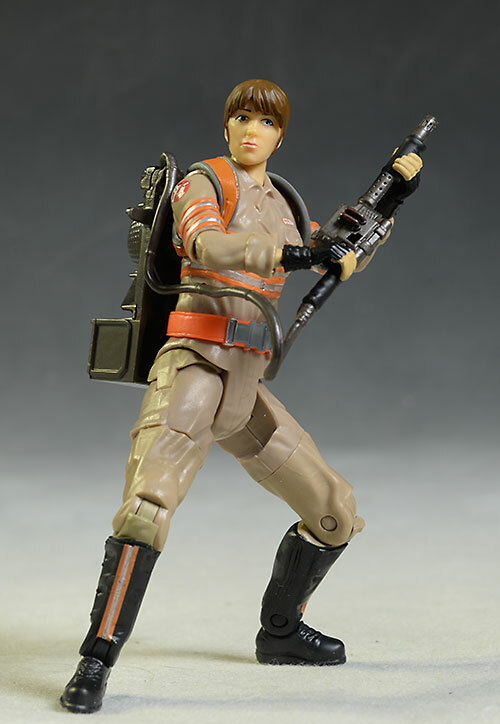 I'm hoping we eventually get her speeder, which would be the perfect addition to go with this release. The loss of Carrie Fisher this year was a heart breaker for all Star Wars fans. 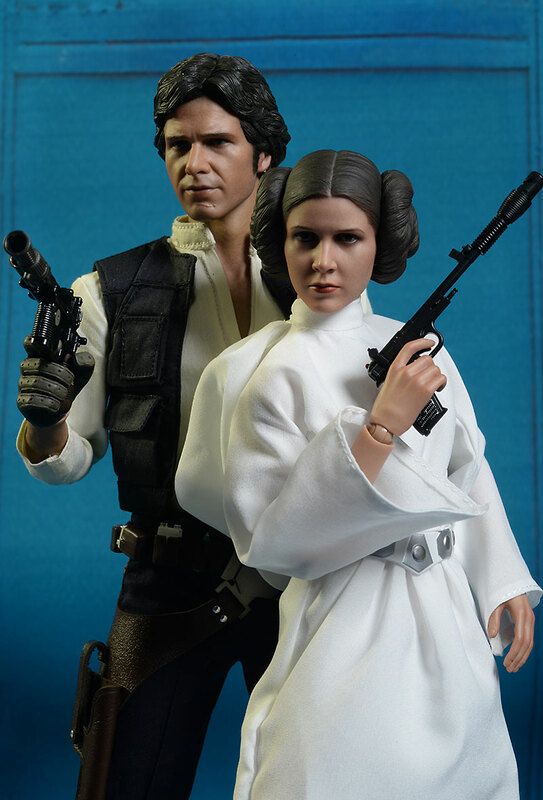 Hot Toys did an excellent Princess Leia early in 2016, and it remains my overall favorite for the year. While it does have more of a blank stare than I really like, and you do have to deal with a poofy costume, the quality puts it as the best Leia we've ever gotten, hands down. I hate picking on the ladies, but with the greater number of figures in general, you'll get a greater number on the lower end of the quality scale as well. 'Member those Titan Heroes? 'Member how much I hate them? Then it should be no surprise that anyone of their female releases could easily take my bronze medal. I know they're only ten bucks or so, but that doesn't make it okay to hurt my eyes like this. Since I have to pick one, I'll pick their God awful Harley Quinn, since she's a character near and dear to my heart. Even David Ayer treated her better. Mattel also did a series of figures called 'big figs'. These run about 14" tall or so, with very little articulation. Their Batman and Superman from BvS were decent enough, but the Wonder Woman was another atrocity. I'm not sure what it is about strong, beautiful, powerful women and the inability to translate them properly to plastic icons. My gold is a tough one. Star Ace has done all kinds of great figures, and their Hermione in the Harry Potter series is one of the best female portraits of all time. But their Selene from Underworld was definitely a disappointment to me. A soft lumpy hair sculpt, a deformed head across the eyes, and generally poor paint created a situation that I can only hope is a speed bump on their path to top quality overall. Best Female Figure 5 - 11"
I've made it clear - I'm not personally happy about the move McFarlane made with their Walking Dead series, upping the scale and removing pretty much all articulation, although I understand the motivation. Most of the figures have been weak in sculpt and paint as well, but there was one stand out for me. I'm giving the bronze here to Michonne, the one figure in the new Walking Dead series they've released so far that reminds us how good McToys can be when they really try. The silver medal is going to the nifty Batgirl from DC Icons, who came with a nifty Batcycle as well. I'm not a completist with the Icons line, but there's no way I could pass this one up. From great sculpting to great paint to great articulation, she's a winner. Earlier I talked about Marvel Legends and all the improvements they've made over the last couple years. One of those improvements is around the look and design of their female characters. There were plenty of great contenders in multiple waves last year, but my favorite was Nico Minoru thanks to her overall design. I don't know if it's the Wicked Witch stockings or the Goth meets Emo style, but I like it. Worst Female Figure 5 - 11"
Ever notice how the Best Picture winner at the Academy Awards also tends to get lots of wins for sub-categories, like Best Director and Best Actor? There's a reason for that. And you're seeing something similar here, with the worst lines producing many of the worst figures. My bronze pick isn't a terrible figure, but it has personally scarred me. It's Janine from the DST Ghostbusters line. I had quite the crush on Janine back when the movie first came out, and this Amy Farrah Fowler version has burned that from my memory. Mattel is going to get hammered for the next two spots. The silver goes to their Wonder Woman from the regular Batman v Superman line. The multiverse figure is actually pretty good, but the standard release is all sorts of awful, from sculpting to paint to articulation. The gold also goes to Mattel, but for one of the poor Ghostbusters figures. Kristen Wiig deserves a lot better than what they gave her with this Erin figure. I weep for her. Best Female Figure under 5"
As I said when discussing the male picks in this category, I'm not a small figure kind of guy these days. In fact, I don't own any of my three picks. I have seen the bronze medalist plenty of times, however. It's Lady Thor from the Marvel Universe comic two pack. The design and execution on this one is really good, and it catches my eye every time I pass it on the pegs. 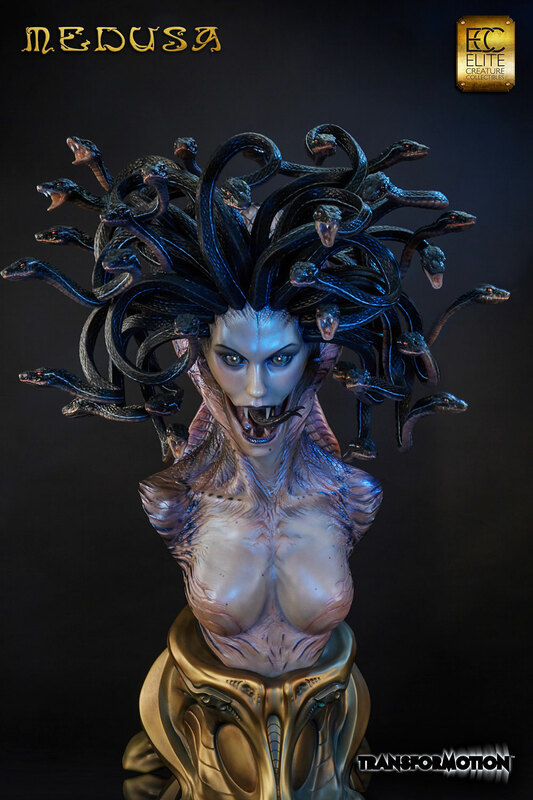 Another impressive figure - although not pretty in the traditional sense - is the Medusa from Boss Fight Studios. Another figure in their cool Vitruvian HACKS line, she sports some amazing articulation to go with a great sculpt. My winner is a lady even less attractive than Medusa, and that's hard to do. 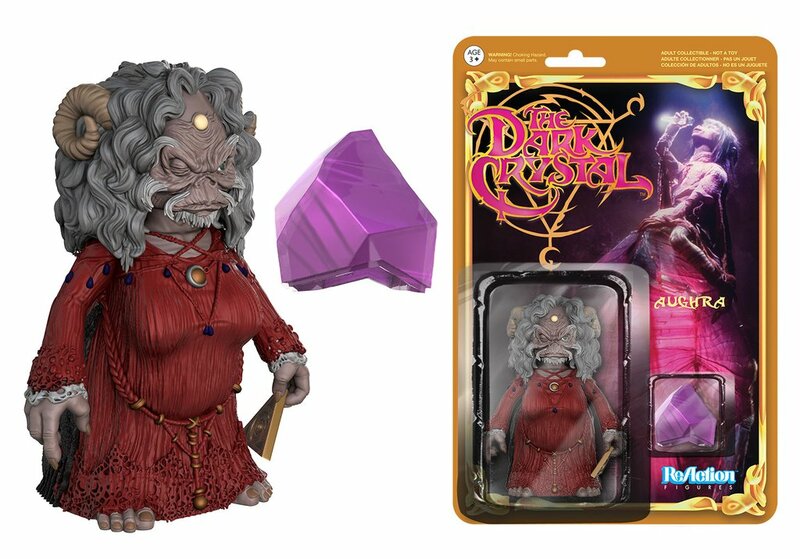 It's Aughra, from the ReAction Dark Crystal line by Funko. This is the line fans have wanted for years, and I hope it gets enough media coverage that they don't miss it. Worst Female Figure under 5"
I buy even fewer female figures in this scale than male, making it impossible for me to properly judge for the worst. I don't think I saw a single horrendous looking lady in the smaller size all year, although I'm probably forgetting one or two. The BAF category this year was owned by Hasbro and Mattel (although I think it's going to be awfully tough to beat DST in 2017, once the Ghostbusters Roof Top Diorama is complete). My bronze went to Mattel for their Grapnel Blaster replica from the Multiverse line. It's quite innovative, and a decent size. It's pretty surprising that you can get a decent prop replica this way, and I have to commend them on the work. It was early in the year when my silver medalist shipped, but I haven't forgotten. I really like the Onslaught BAF, and he has the heft and gravitas that makes for a great BAF every time. Having the Red Skull portrait as an extra helps too! 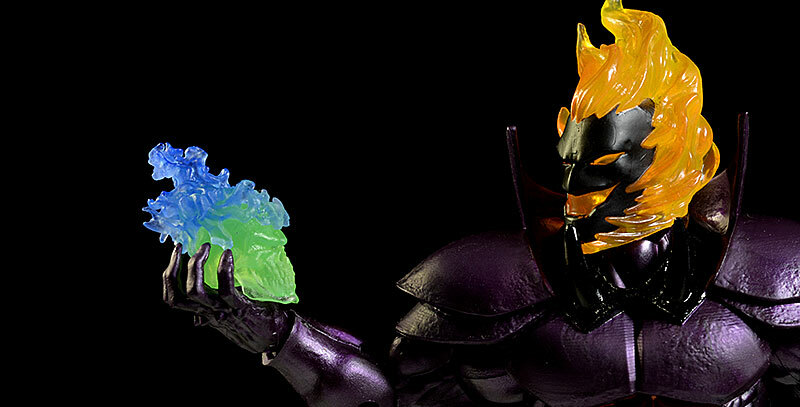 My winner is another Hasbro BAF - Dormammu! I'm going to be completely honest here. I'm not a big fan of the character, but I have a hard time saying no to a flaming skull. There really aren't enough BAF's in a year to get a bevy of poor releases - thank goodness. But I do have one who gets the gold - Rowan, from the Mattel Ghostbusters line. Ignoring the basic quality issues with the figure itself, we got the figure in the same scale as a regular release. While the BAF was slightly different in pose (and lacked the light up feature), it's still a big turn off to get a BAF you can get another way. Remember, the point is to get something *special* by buying the whole line, not something you can already get. I suspect a lot of folks are going to vote for the Delorean from Hot Toys this year. And I have to admit, it's really, really sweet. But it's also really, really expensive, and considering the price point, it SHOULD be really, really sweet. So for all it's wonder and amazement, it only gets a bronze from me. My silver medal is going to the DC Collectibles Batman Animated Batwing. While it could have used a little more detail, and nothing is ever perfect, I have to say the sheer bulk and size are truly impressive. Whenever we can get 1/12 scale vehicles, I'm happy, and DC Collectibles continues to do an amazing job with this series. My winner was an easy pick. 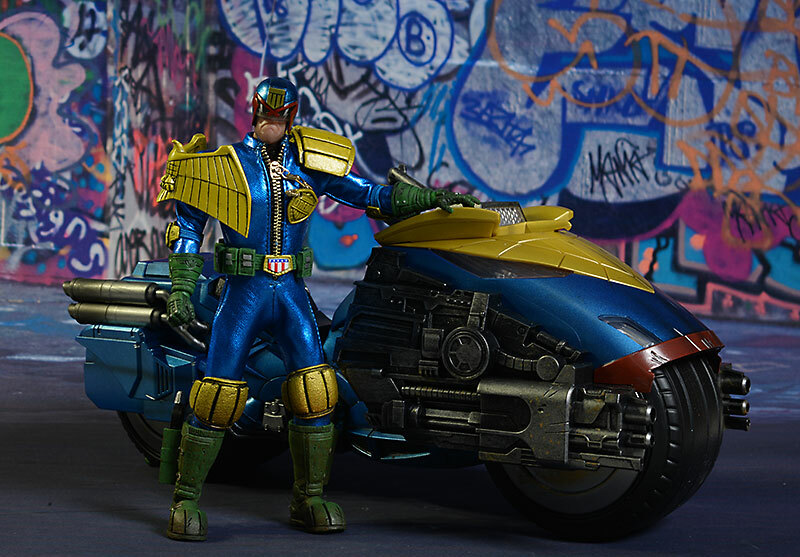 Mezco continued their One:12 Collective Judge Dredd series in 2016 with the release of the amazing Lawmaster. With great size, excellent sculpting and paint, and a ton of light and sound features, this was easily my favorite vehicle of the year. I dare you not to love this thing! Those who know me know I hate vehicles that are useless - Superman doesn't need a car. This worst category is often dominated by such vehicles, and this year isn't much different. I'm actually going to start with a play set, however. The Wall set by Funko, designed for their new 4" line of Game of Thrones figures, crashed and burned along with the line. Funko is a collectors company, making figures that speak to nostalgia and the obsession to have them all. This play set was off the mark, something geared more toward kids, and therefore doomed to fail. My silver and gold are both Batman related. First up, taking the silver, is the Batman ATV. I'm back attacking the crappy Titan Hero style figures, and this cheesy bright blue ATV (and figure) might be fun for kids if it weren't so brain numbingly stupid. Mattel tops themselves with my gold medal pick. I'm not sure what sort of gruesome nuclear accident caused the creation of a half Batman, half vehicle hybrid, but the Rotaxis Batman Beyond TriDrive is just such a beast. One of my least favorite concepts is also one of the most over used - "hey, kids love X, and kids love Y - they'll love them even more if we make XY!" Please, stop. While there are a ton of great choices this year, this category was actually quite an easy pick for me. Remember, I'm a huge Bat-nerd. My bronze is going to a very non-Batman statue, however. I really love the Pop Culture Shock Robocop, and he now has a permanent spot on display in my bar. Real estate in the bar area is very limited, so for a new statue to get a spot is quite an honor. The silver swings into Batman territory, and I've mentioned this statue a couple times in other categories. I'm going with the 1966 Batgirl released by Tweeterhead. I think it's the nicest of the series they've done so far (although I have very high hopes for Egghead), and the design and quality are excellent. My gold is also Batman related. And it's also from Tweeterhead. For far too long, great Burton Batman product has been almost non-existent. When we did get something, it was a Keaton Batman. But the Tweeterhead Batman Returns Catwoman statue changes all that. This is a great statue, with an excellent likeness. Now where's my Penguin? I'm warning you in advance - Diamond Select is going to get abused here. I'm only picking two worsts, and they both come from DST. First up, getting the silver, is the Premier Collection 1966 Catwoman. While I wasn't thrilled with the pose, at least they were taking a chance, and I love the concept of these statues. They could be a terrific alternative to the much more costly Tweeterhead line, giving fans an option. But poor paint has plagued them, and even at the lower price point of $135, they need to get the paint quality up. The winner is a MUCH cheaper statue, and for that I applaud DST. They are working on plastic statues that run only $40 or so, making it much easier for collectors to amass a display full of Nerd Hummels. I can appreciate the concept of the Femmes Fatales line, and I like the Batgirl and Harley from early in 2016. 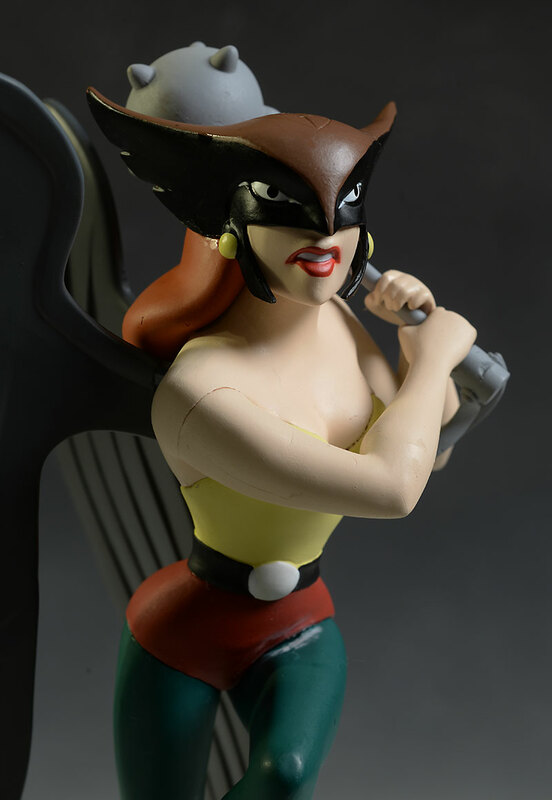 But the Hawkgirl is bizarre, with a weird head sculpt that looks like she's actually some sort of bird hybrid under the mask. Once I noticed the deformed look to the head, what was seen could not be unseen, and it pretty much ruined the statue for me. It's interesting to watch the various types of collectibles boom and wane over the years. As I mentioned, items like BAF's and 1/4 scale figures have almost disappeared at times, only to come roaring back at later dates. The bust market is in one of those wane periods right now. Once a major collectible with multiple companies doing large numbers of pieces, it's now a much smaller market with fewer players. It isn't drying up any time soon, but it is a much smaller market than it was 10 years ago. Right now, it's the life-size busts that are the biggest focus. I suspect we'll see it boom again at some point, but it's going to take someone being innovative in the designs or quality to jump start the interest again. I will say that I really like what DST is doing with plastic, lower costs busts, especially around the animated Batman and 1966 Batman licenses. There's still plenty out there to make for great nominees in this category. My bronze medal goes to one of those life-size versions, although He-Man has never been 'life-sized'. His bust from Pop Culture Shock is a truly impressive piece of work on any shelf - just make sure it's a very, very sturdy shelf. My silver medal is awarded to a much smaller bust - the McQuarrie Chewbacca, from Gentle Giant. Once upon a time, I was a completist with the Star Wars busts from Gentle Giant, but now I pick and choose, and do so with great prejudice. But this version of Chewie was one I had to have, and I'm glad I made sure I snagged it. I love all the McQuarrie designs, but this one is so 1960's monster movie creepy, it stands out among them. My gold is going to the Medusa Cinemaquette, a monster of a monster. This beautiful bust is almost 3 1/2 feet tall, and turns guests to stone in awe. I've only had the chance to see it at conventions, but wow, it's an impressive piece of work, and I envy those that own one. I'm not going to pick on anyone this year - I simply didn't buy enough busts to be truly disappointed in any one. I can always whine about the greater number of 'classic' busts coming out of Gentle Giant, particularly around Star Wars, where they skip the arms...but that's just me whining. This is a category where I've changed my mind back and forth a bunch of times over the last week. There are so many good candidates, and every time I review them, I come up with a different answer. My final choice for bronze is going to be the First Turtle from Mondo. I love him, and the simple design is carried off flawlessly. I'm going with General Tso's Nightmare as my silver medalist. I love weird designs like this, designs that riff on pop culture while being pop culture. It's very Andy Warhol. 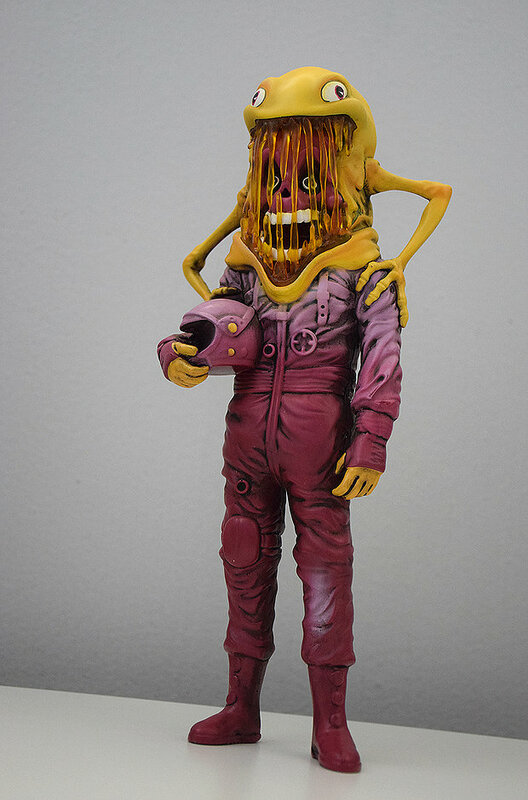 And my final, final choice for gold is one I don't think I even mentioned when Eamon and I did our picks on the podcast last week - the Astronaut, by Alex Pardee. The more I look at him, the more I love him, and this is a design that speaks to multiple aspects of my nerdy loves. As a space nerd, I love just about any astronaut design. As an old school alien monster nerd, I love the design of the creature on his head. Hell, as a figure nerd, I love the use of the translucent plastic dripping over his mutated face like jailhouse bars. When a design speaks to you on every level, it's true art. Perhaps more so than any other style of figure, vinyl figures are art. Mostly. Sure, I could complain about how Pop! figures pretty much all look alike and wildly cover every license known and unknown, diluting the market and driving it toward an early death, but that would merely be the ranting of a senile old man. The majority of the people working in this market today are using it as a form of artistic expression, and as such, you'll know it when you see it. Some I like, some I don't but this is largely an issue of aesthetics, not quality, and I'm not going to crap all over their parade. At least not today. I was a little disappointed by the lack of representation in this category this year. I suspect there's plenty of other great choices out there, but the judges simply weren't familiar enough with them. With certain categories, I've gone out of my way to find judges specific to that area (see the Designer/Vinyl category above), and I suspect I'll need to do that for this category moving forward as well. Still, there's some excellent choices on the ballot. McFarlane produced the cool Negan's Bat, from the Walking Dead of course, and they did a really nice job with it. Obviously, they'd run into some problems creating an actual barbwire wrapped bat. Besides, you can create your own barbwire wrapped bat pretty easily - you don't need someone else to do it for you and charge you a hundred bucks. Negan's bat doesn't have a lot of extras, so creating a 'real' version isn't all that hard. But McFarlane did do something you can't easily do - they created a non lethal version perfect for cosplayers and costumers. And if it isn't obvious, they get my bronze for the effort. I'm giving silver to another lower cost replica, but it's very deserving - the Hasbro Captain America shield! The intention was for the plastic version on the ballot, by the way, but if you voted for it because you loved the metal version a well, no problem. Hasbro killed it with both, and they actually made a major splash with the Iron Man and Stormtrooper helmets, all worthy nominees. My gold medal winner wasn't ridiculously expensive either, but was far better than the price point would indicate. 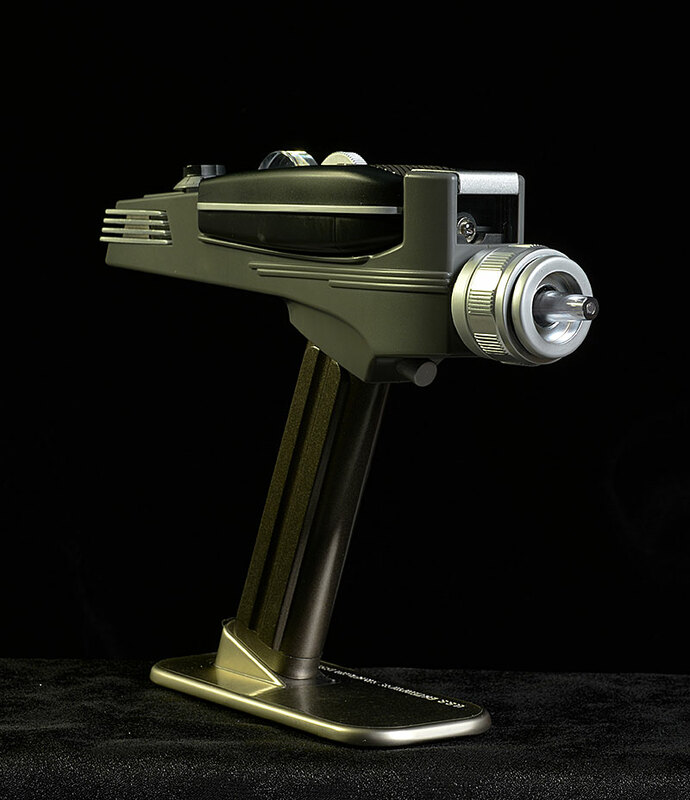 The Wand Company's Star Trek TOS Phaser might have been just $150, but it rivaled replicas costing 3 times as much. It's also a universal remote control, but do yourself a favor and forget I ever said that. It's not a great remote...it's not even a good remote. But with amazing accuracy, a ton of light and sound features, and an impressive heft, it IS a fantastic prop replica. I didn't buy a lot of replicas this year, although I did buy a few. Almost all of them were outstanding, thanks to great improvements in the market. But one did disappoint me - seriously. 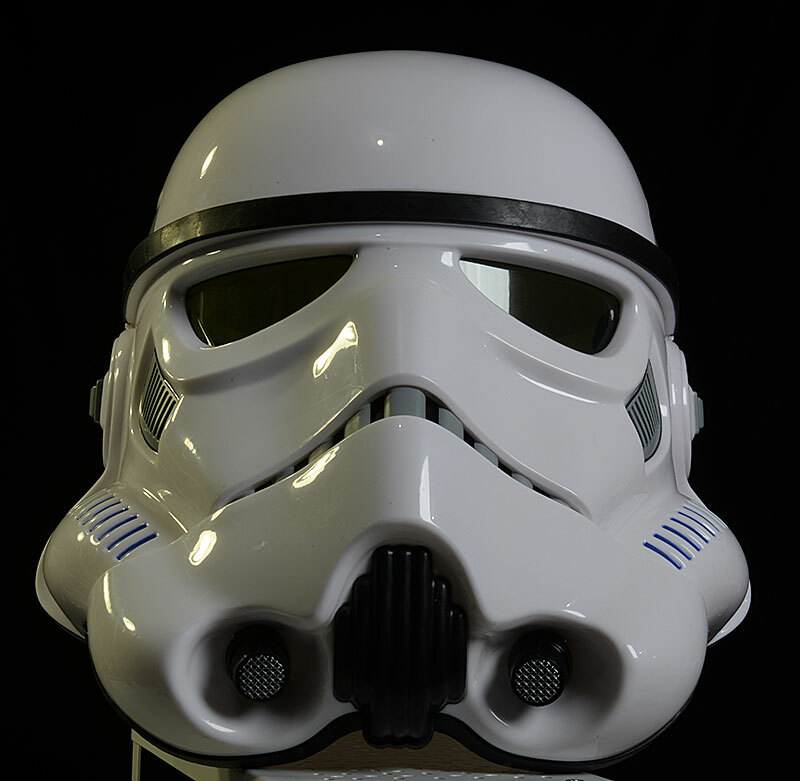 When I picked up the Stormtrooper helmet from Hasbro, I had high hopes. I love their Captain America shield and Iron Man helmet, both released earlier. And to be fair, if you only want this as a replica, you'll probably be quite happy. But the voice changer was a complete bust on mine - didn't even sorta kinda work. Nothing, nada, zippo. You have to assume a decent chunk of the price you're paying is going to the electronics, and yet it was completely useless. I heard that a lot of people had this same issue, and the nice customer service lady at Target that took my return said she'd already had several come back, so I'm going to conclude this particular feature was a bust for them overall. I avoid buying building sets like the plague. I really do. Sure, I look at them every time I'm in a store, but I only buy them on very rare occasions. Why? Because I know myself all too well. Buy one, and I have to have them all. And having them all in the modern building set market means ending up in the Lego poor house. When I do buy building sets, I'll be honest - it's always Lego. But that situation is on the verge of altering, thanks to the release of the Mega Bloks Star Trek 1701. Gah! They have this thing right at my local Best Buy! Resistance is futile...even if that was a different show. I can't have a worst in this category - I love them all. Way too much for my wallet's good. This category is always fun - talk about variety! If it doesn't seem to quite fit any where else, it can always fit here. I realize Chewbacca Mom drove everyone crazy, but let's be honest - the mask is damn cool. That's why Hasbro's talking Chewbacca mask gets my bronze vote, even with the goofy marketing ploy. I'm a huge fan of die cast anything, but Jada Toys Metals series of figures wasn't really doing much for me...at first. I have to say that the designs are starting to win me over, and the variety, like Pop, creates a great line up on the shelf. I'm not quite giving them my dollars yet, but I'm giving them the silver. My gold is going to the cool Vitruvian HACKS from Boss Fight Studios. The mix and match nature of the figures and accessories, along with the cool accessory packs and base bodies, make this a very innovative and fun line. I haven't been buying many figures in this scale, but this line has me re-thinking that policy. I generally use this final category as a chance to moan and whine about some pretty general topics. This year is no different. The first one is uber petty, but it's been bugging me for weeks and I have to get it off my chest. What the hell is up with the plastic representations of the rooster in Moana? HeiHei was the 'village idiot' in the film, and none of the versions I've seen truly capture his look. I don't think this is a PC thing, or some nefarious conspiracy. I think he has fallen prey to the 'late change' problem so often faced by toy companies. The original HeiHei was supposed to be a strapping rooster with a strong, mean attitude. I suspect that design is what the toy companies worked with, and when the character was almost cut from the film in the final weeks, the design and personality of the character were completely overhauled to save him. You can find all that info out on the web, if you'd like, but switching him to a moron allowed the writers and animators to fit him into the story in a way that worked, and meant he could remain. Unfortunately, it probably didn't leave toy companies time to make any changes. Still, I'd appreciate at least one version of HeiHei that looks like him. My next complaint is around taking good ideas and messing them up. Last year, fans of Playmobil got excited when they heard there would be various licensed characters done in Playmobil style, like Back to the Future and Ghostbusters. How sweet is that? Hey, I got excited too. I've always loved Playmobil, and often said that if I were forced to collect only one toy, Playmobil would probably be it. But not all was good. Part of this was a joint deal between Funko and Playmobil. At the end of the year, Funko released the first of their 6" Playmobil-like figures in various licenses. In this instance, my excitement went from extreme to non-existent. I love Playmobil because it's Playmobil. I want to have licensed figures that can interact and work with actual Playmobil sets. I don't need oversized Playmobil figures that go with nothing. Now, don't get too upset - Playmobil is still doing actual sets in the normal style for licensed products in 2017. We've seen photos of the fantastic Ghostbusters sets already. And I have full expectations that they'll have a place of honor on the ballot next year. But that makes the release of the Funko stuff not less perplexing, but more. My final complaint of the day is around the WWE Zombie figures. Remember when I said I hate it when marketing people sit around a table and say "kids love X, kids love Y, wow, they'll love XY!". And this is how zombie versions of various WWE characters are born. A silly idea that gets away from everything the brand is actually about, Mattel is following it up with 'mutant' versions for 2017. Ugh. Picking bests gets harder because there are so many choices - picking worsts gets harder because there are so few. The market is responding to the improvements in quality that some companies have pioneered, and now everyone is working to earn our dollars. It's an amazing time to be a collector, and I can only hope that this golden age continues. Captain Toy Picks...Top Poppies Winners of the Past Ten Years! 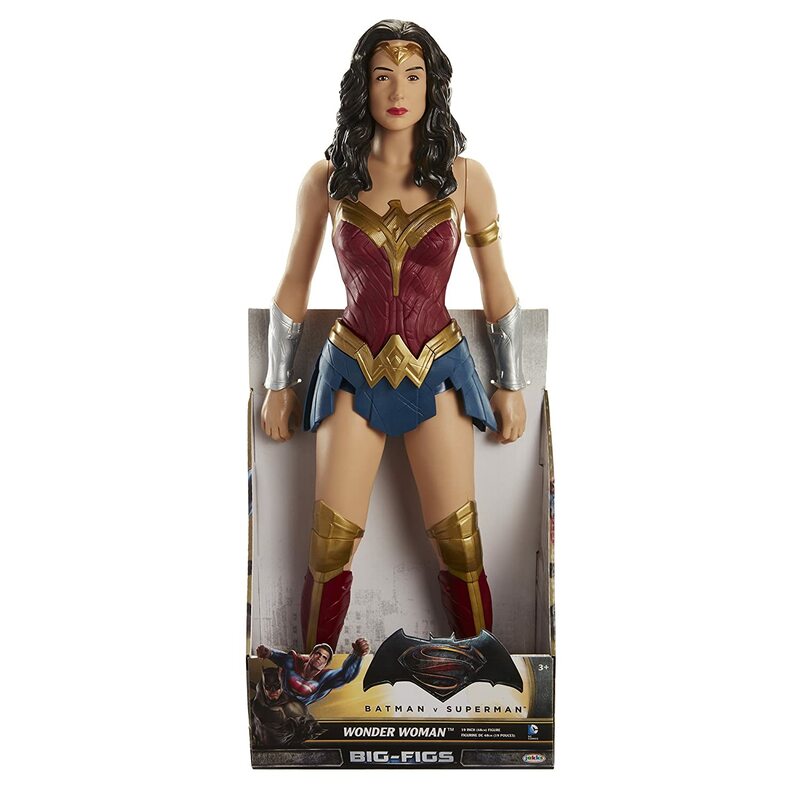 Captain Toy Picks...Top Ten DC Universe Classics Action Figures! Captain Toy Picks...Top Ten Christmas Action Figures! Captain Toy Picks...Top Ten Joker Action Figures! Captain Toy Picks...Top Ten Superman Action Figures! Captain Toy Picks...Top Ten Animated Action Figure Series! Captain Toy Picks...Top Ten Toy Things I'm Thankful For! Captain Toy Picks...Top Ten Premium Format Statues! 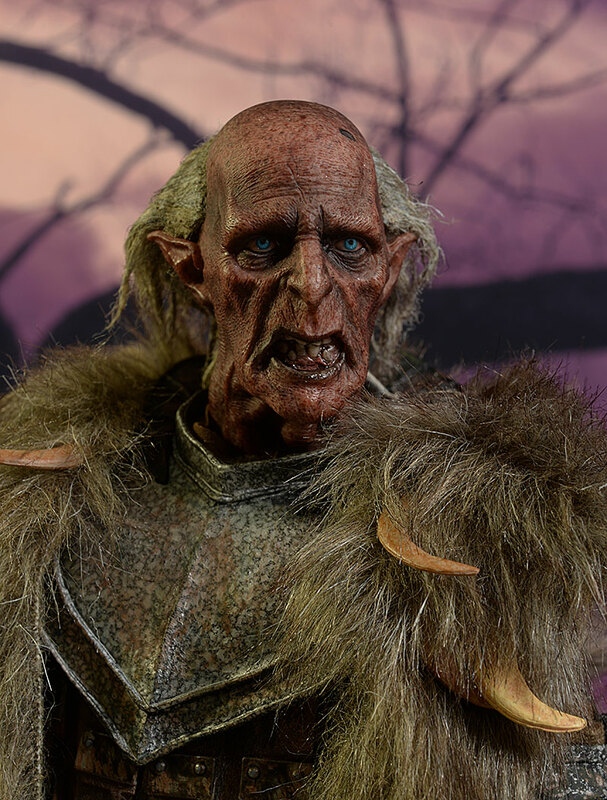 Captain Toy Picks...Top Ten Horror Sixth Scale Figures! 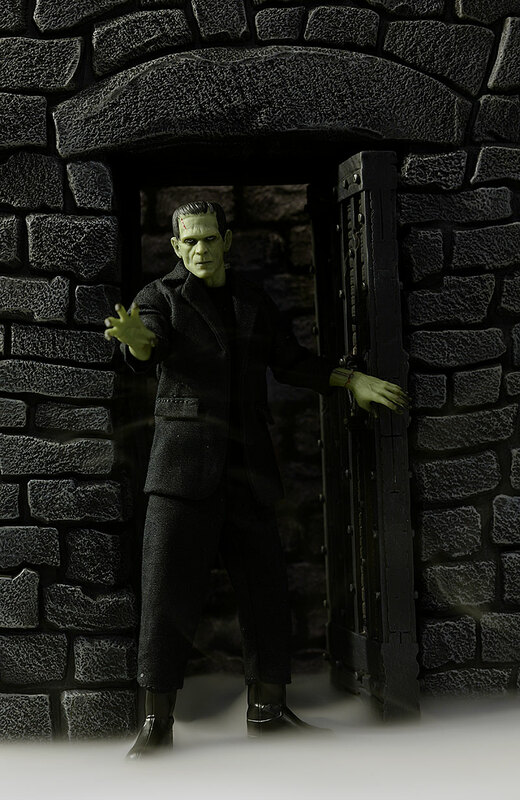 Captain Toy Picks...Top Ten Horror Action Figures! Captain Toy Picks...Top Ten Sixth Scale Disappointments Over $100! Captain Toy Picks...Top Ten Sixth Scale Disappointments Under $100! Captain Toy Picks...Top Ten Palisades Muppets! Captain Toy Picks...Top Ten Wanted Licenses in Sixth Scale! 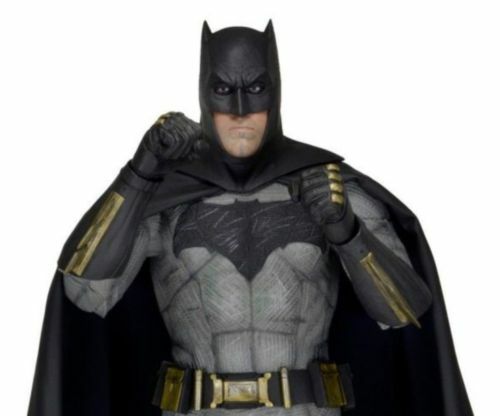 Captain Toy Picks...Top Ten Batman Black and White Statues! Captain Toy Picks...Top Ten Masters of the Universe Classics Action Figures! 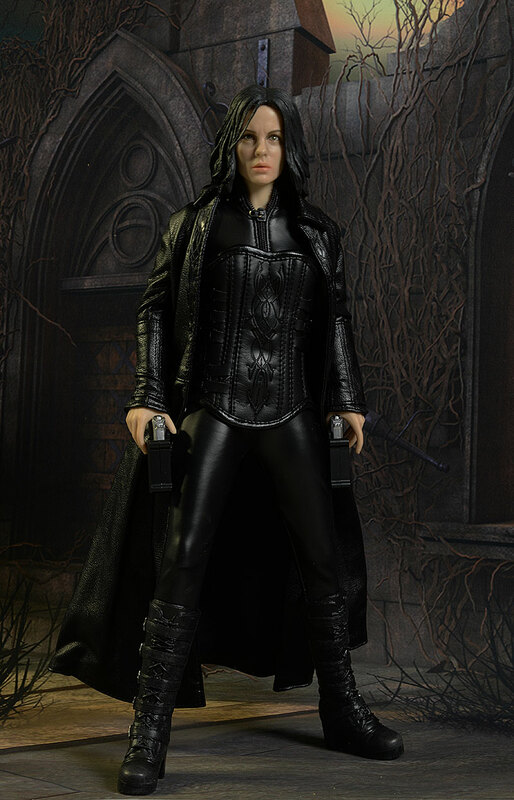 Captain Toy Picks...Top Ten Female Action Figures! Captain Toy Picks...Top Ten Prop Replicas! Captain Toy Picks...Top Ten Simpsons World of Springfield action figures! 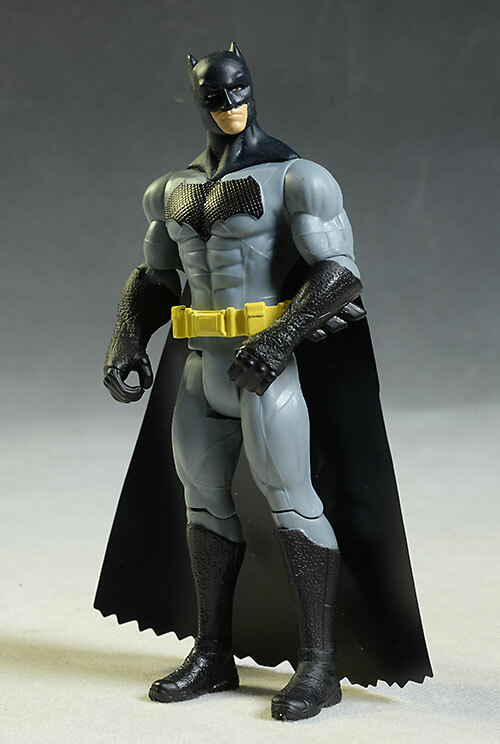 Captain Toy Picks...Top Ten Batman action figures! 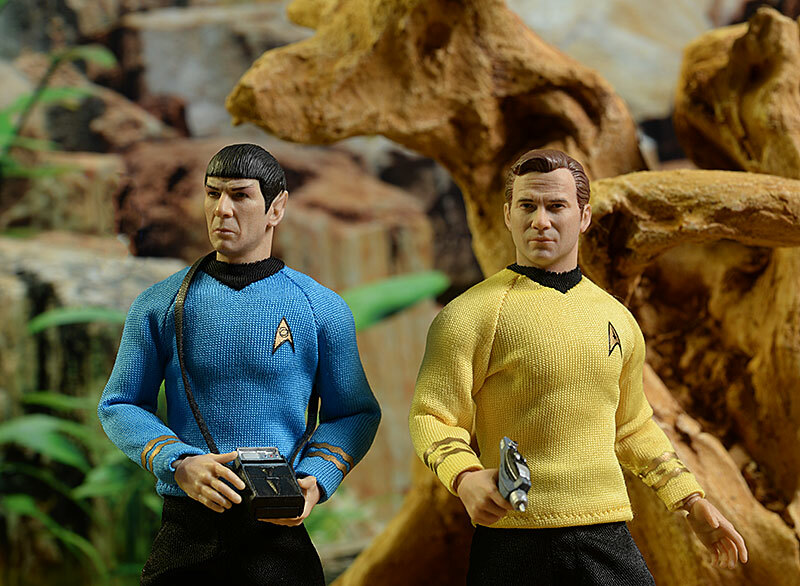 Captain Toy Picks...Top Ten Sixth Scale Grails! 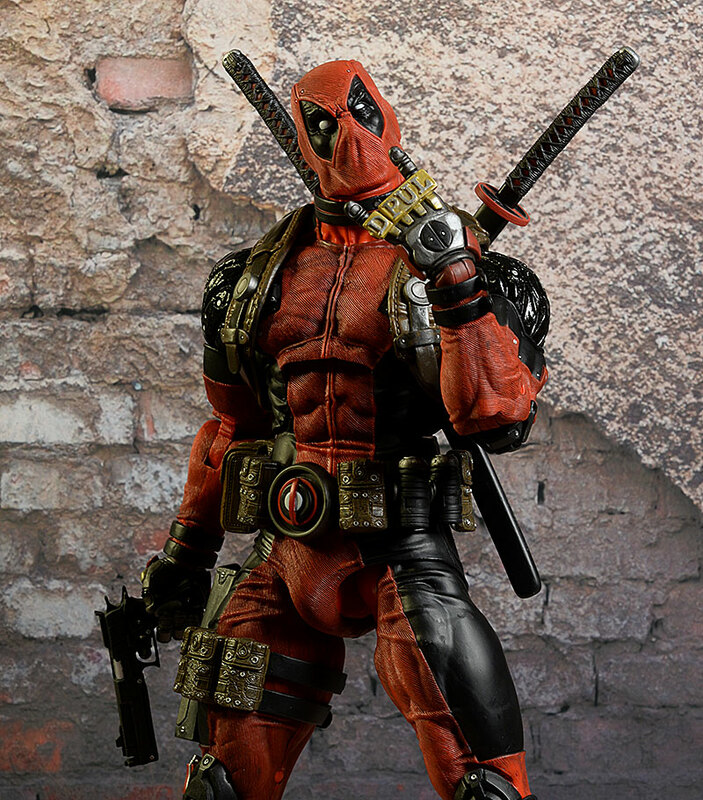 Captain Toy Picks...Top Ten Sixth Scale Figures!